The SOLAR-COMPUTER software covers the areas of Energy, Building Physics, Heating and Cooling. In addition we offer an intelligent connection between our calculation software and programs like Autodesk MEP 2010. Our target group includes planners, building service designers, M&E contractors as well as departments in local authorities like and building control. The software’s application ranges from consulting, planning , implementation to restoration of existing buildings. SOLAR-COMPUTER can rely on more than 30 years of experience in the field of building service software by its German parent company. 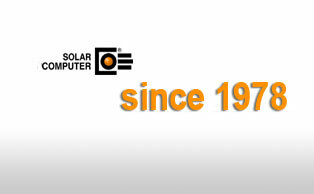 SOLAR-COMPUTER started developing calculation software for building services even before the first PC entered the market. Specialising on this specific market segment allowed us to develop market leading software and setting new standards in user friendliness while performing the most complex tasks. The modular concept of the software allows our costumer to package the software in accordance to their specific requirements. It provides flexibility to the costumer with regards to performance, interfaces, installation and price. Therefore, SOLAR-COMPUTER products offer excellent value for money. You can purchase licenses for our bundled packages combining various modules and allowing you to calculate the most complex projects. However, at the same time we offer the individual modules as required for your specific needs. Excellent support and our maintenance offer ensures that we are only a call away to help with your problems – in accordance with our motto ‘WE ARE HERE TO HELP YOU’.